Customer Satisfaction Survey (CSAT) is a vital activity especially for the organisations in the Service Industry. It is an ideal opportunity to initiate discussions, understand customers and their concerns and hence improve existing services & processes. CSAT enables organisations to identify areas where they lack in their services as compared to Competitors. It is also a good opportunity/excuse to talk to your customers that have stopped doing business with firm or have started doing the same with competitors. CSAT is a long exercise involving a large no.of stakeholders and therefore it should be planned in a way that it covers all the aspects and serve its purpose well. Please keep in mind that entire activity is futile if the analysis of CSAT is not panned out clearly to the stakeholders in the business. A. Designing a Survey:- I always prefer Online Version. It is easy to fill, send and collate the responses online.However, if one is planning to take responses by oneself then offline questionnaire may offer u more information than an online version. It is actually a trade-off between time and cost. a) NPS Score for Company as well as Competitors- The criteria which is most commonly used in CSAT is NPS( Net Promoter Score) to measure the performance. It is defined as (% of Promoters- % of Detractors). The question that gives us this value in the CSS questionnaire is " On a scale of 10 would you recommend XYZ to your associates?. NPS Score of 9 and 10 is considered as positive; NPS score of 6 and below is considered as negative and NPS Score of 7 and 8 is considered as passive. 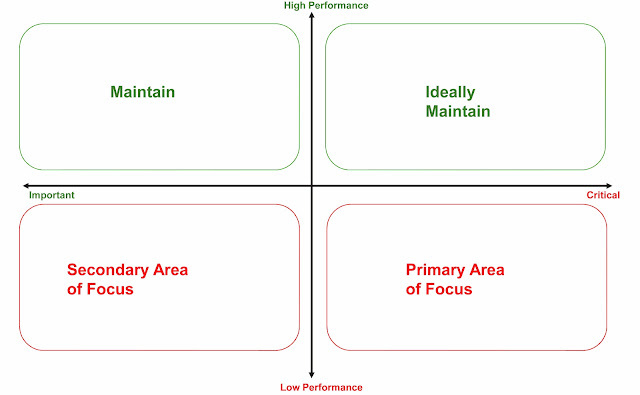 b) Sales Parameters:- Ratings on Key Contact Performance, Contact Matrix, Account Management etc. c) Operations Parameters:- Effectiveness, Performance of Key Operations etc. d) Customer Service:-Response to Queries, Response to Complaints, Turnaround Time, SLA Agreement etc. 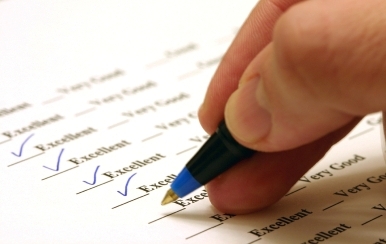 Other essentials in the CSAT that can be be measured include Value for Money, Reliability, Flexibility, Proactive etc. e) Industry Benchmark is also very important- " A typical question is like- How you rate our services- Best in the Industry; Above Industry Average; On industry Average and Below Industry Average. f) What are the things XYZ can do to improve the ratings? g) Qualitative Analysis gives a real insight so try to insert lots of open ended questions in a survey. B. Identification of Customers:- If you are a big company, then number of your customers may run into thousands and it is not possible to send CSAT to each customer. Therefore in order to get away with this problem, I suggest classify Customers into Transactional as well as Relationship customers. After Classification, you can send CSAT to the most valuable Customers depending on three parameters- Value of Transactions, Frequency of Transactions and Profit Margins on Transactions. In a real scenario, one doesn't have to spend too much time to collect these things- Sales person usually have this information and whoever is conducting CSAT can collect this information quickly on the basis of these parameters. C. Gathering of Information- After identifying set of Customers for CSS Activity, the next step is to collect responses from customers. CSAT cannot be pursued at regional levels. It has to be coordinated at the Head Quarter for overall analysis and identifying the loopholes in the services. It is a good practice to appoint one stakeholder in each region so that you can collect responses in the required time frame. Selection of internal as well as external deadlines, reminders is also critical to success of CSAT. D. Collation of Data:- After collecting responses from customers, it is a good practice to collate data in a required format for proper analysis of the same. The usual way is to collect it in an excel sheet but I prefer to collate data in a database where extraction is easier using a Key. E. Final Analysis:- After collecting the data in a right format, the next step is to do the analysis of responses and extract the required information out of it. 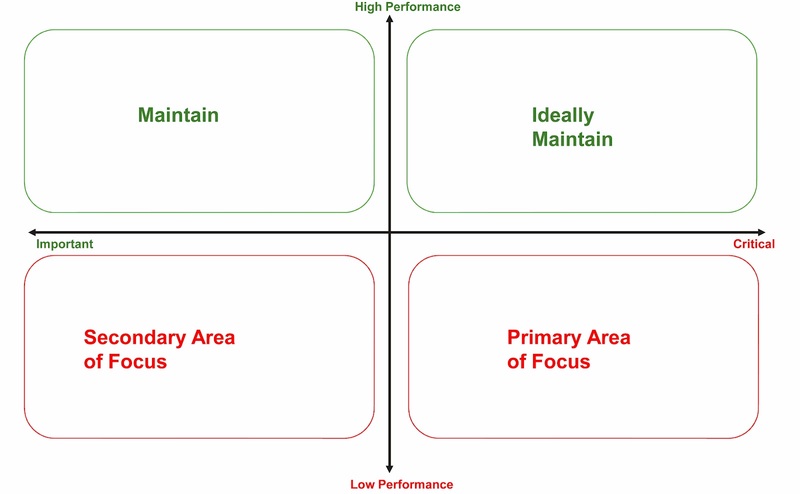 I prefer Quadrant analysis to get a snapshot of next plan of action. In the last phase of CSAT, it is better to send an email or talk to customers that have given NPS score of less than 6. Their feedback would be critical to company's success. It is equally important to share the results with each stakeholder in the organisation.